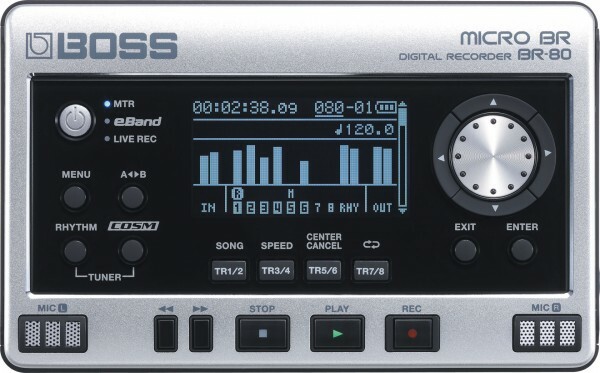 BOSS has announced that it’s now shipping the MICRO BR BR-80 Digital Recorder, an updated version of its MICRO BR multitrack recorder. The MICRO BR is small enough to fit in your pocket, but is basically a portable virtual studio, offering two tracks of simultaneous WAV-format recording, eight tracks of playback, and 64 virtual tracks for editing and mixdown. The BOSS BR-80 is available now for $299.